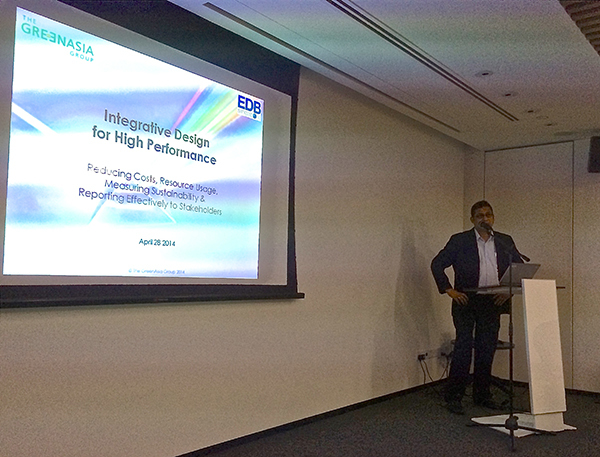 Vinod Kesava, TGAG’s Executive Director/Chief Operating Officer, was invited to be the guest speaker at EDB’s (Economic Development Board) Sharing Event to introduce IDP to a number of different companies with his presentation entitled “Sustainability – Initiatives to help companies optimize land, water and energy use”. Many thanks to the team within EDB which organizes sharing sessions with ‘multiplier’ partners to update them on EDB’s various initiatives and to motivate these multipliers to better help their clients establish, operate and expand their presence in Singapore. Since Vinod’s presentation on 28th April, a number of companies have shown an interest in sharing his presentation within their own organizations.